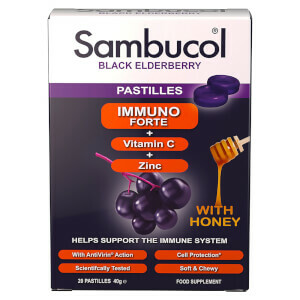 Discover the range of Sambucol health supplements here at Mankind. 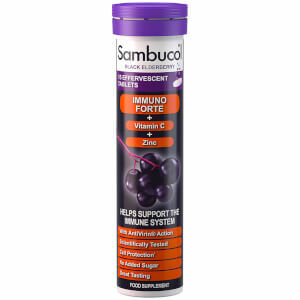 Developed by a world renowned scientist, Sambucol is a range of high quality supplements to boost your health. 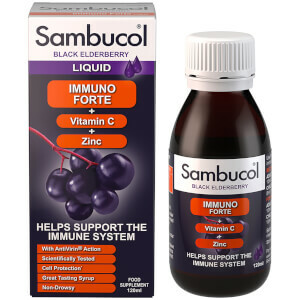 Made with black elderberry extract, each product supports and strengthens the immune system. 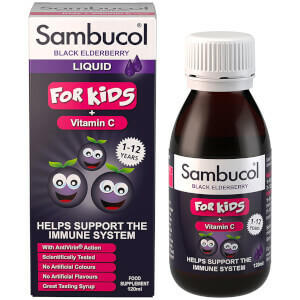 Providing the body with vitamins, minerals and antioxidants, it will help to prevent you from becoming ill throughout the year, protecting you from catching coughs, colds and more. Containing extracts of black elderberry, Sambucol works by providing the body with anthocyanins. 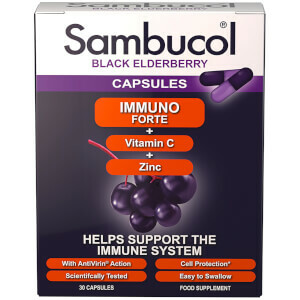 These boost the production of cytokines which then enhances the immune system within the body. 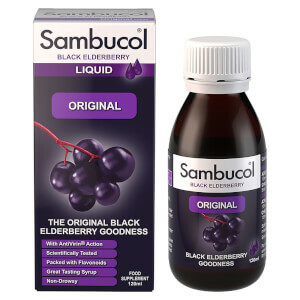 The black elderberry contains some of the highest concentrations of this phytochemical and it’s found in the fruit’s purple pigment. All of the Sambucol products contain either glucose syrup or sucrose, except for the Immuno Forte Sugar Free Liquid, Pastilles, Tablets or Capsules. 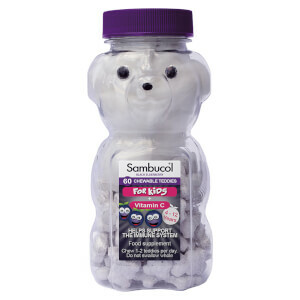 These simply contain naturally occurring sugars from the black elderberry.